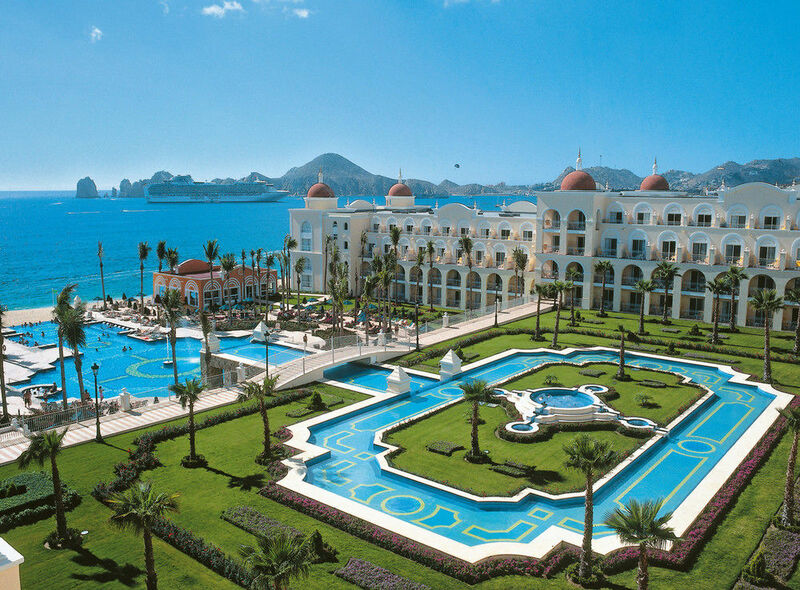 The Hotel Riu Palace Cabo San Lucas overlooks a stunning white sand beach ensuring your vacation will be an unforgettable one. 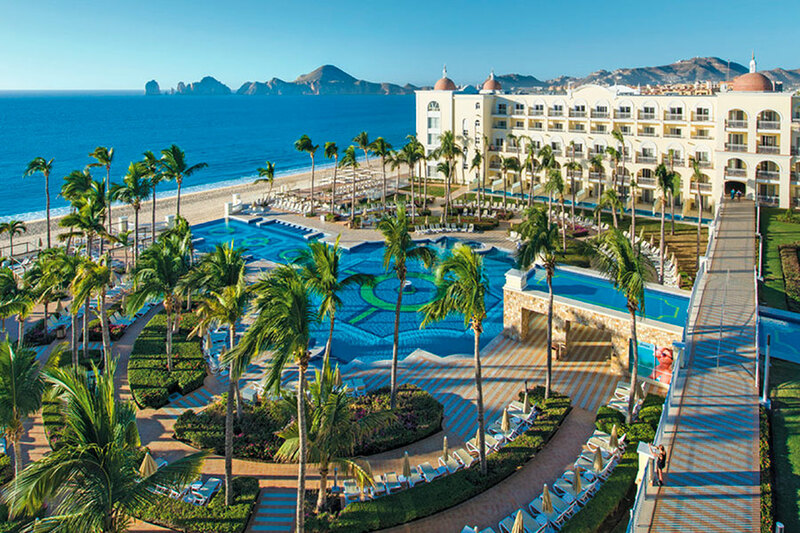 The Hotel Riu Palace Cabo San Lucas located in Los Cabos offers all-inclusive 24-hour-a-day service and has a wide array of culinary options, the best entertainment and fully-equipped facilities so that you can enjoy an exclusive RIU hotel in Los Cabos. 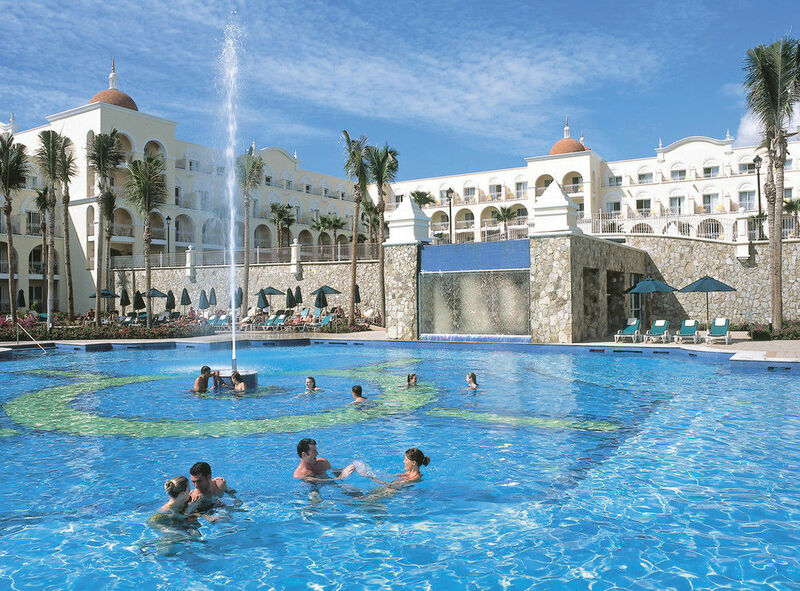 The facilities at Hotel Riu Palace Cabo San Lucas include an endless array of services to ensure that all guests enjoy their stay. 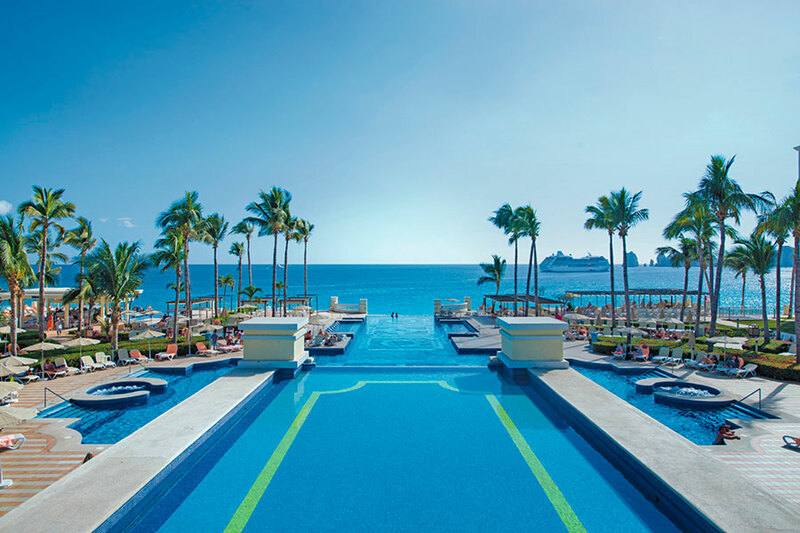 At the hotel RIU Palace Cabo San Lucas you can take advantage of the Renova Spa equipped with a gym, sauna, hydromassage bathtub and beauty area, as well as the hotel's two conference rooms and the best entertainment program for all ages, such as RIULand kids club. In addition, if you want you can partake in sports such as tennis or take scuba diving lessons or perhaps join the RiuFit program which offers innumerable fitness activities. 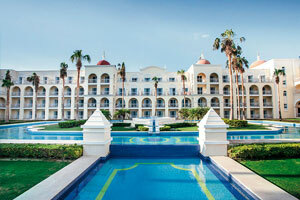 The Hotel Riu Palace Cabo San Lucas has a wide array of culinary options which are varied and exquisite. 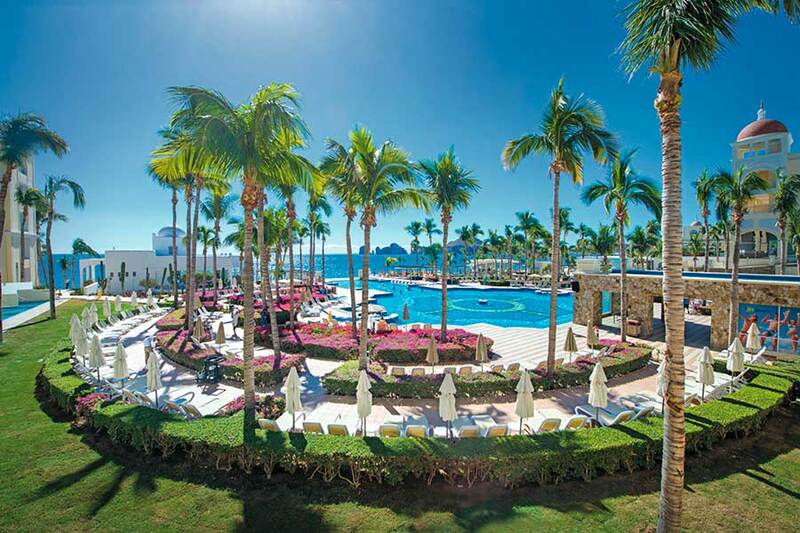 At this hotel in Los Cabos you will can enjoy the best Mexican, Japanese and Indian cuisine, incredible buffets with show cooking stations, or savor the best steak at the steakhouse located by the pool. 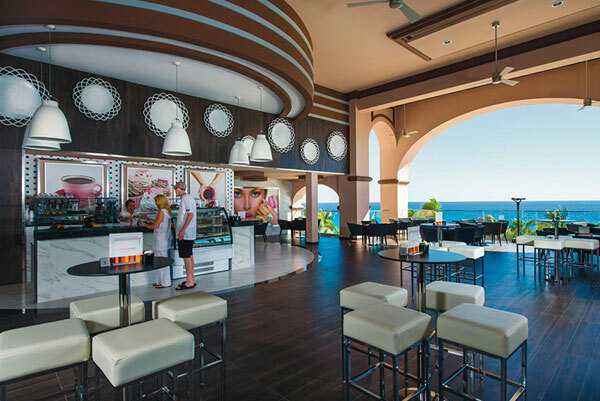 In addition, at the hotel's seven bars and the new bakery and ice cream shop, Capuchino you can get great snacks and beverages. 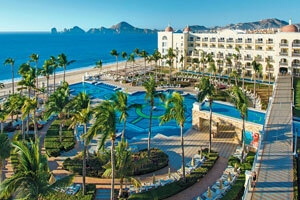 Los Cabos is one of the most beautiful and exclusive destinations in Mexico. On your vacation, you can go on various excursions to delight in the spectacular natural scenery, discover places like San Jose del Cabo and Cabo San Lucas or visit the Cabo Pulmo National Marine Park, declared a World Heritage Site by UNESCO. 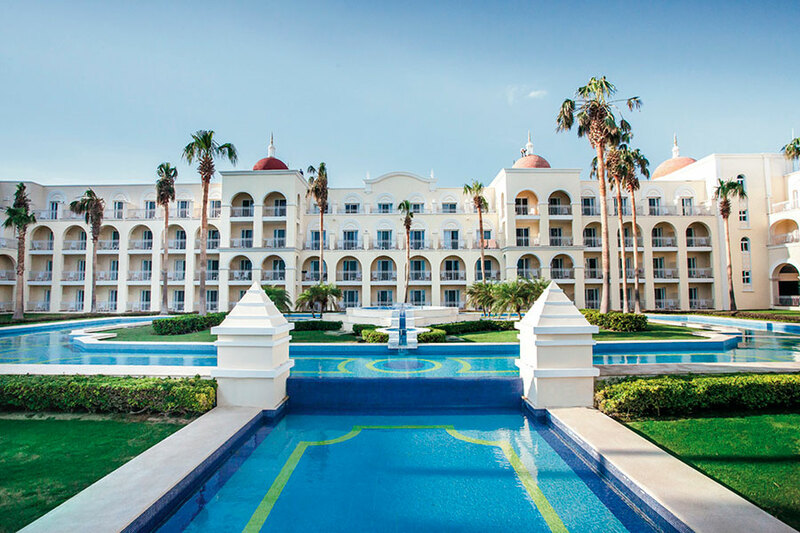 In the more than 600 rooms at the Hotel Riu Palace Cabo San Lucas you will find the best amenities, including free Wi-Fi, a drink dispenser, minibar and a balcony or terrace so you can enjoy the hotel's beautiful surroundings in Los Cabos. 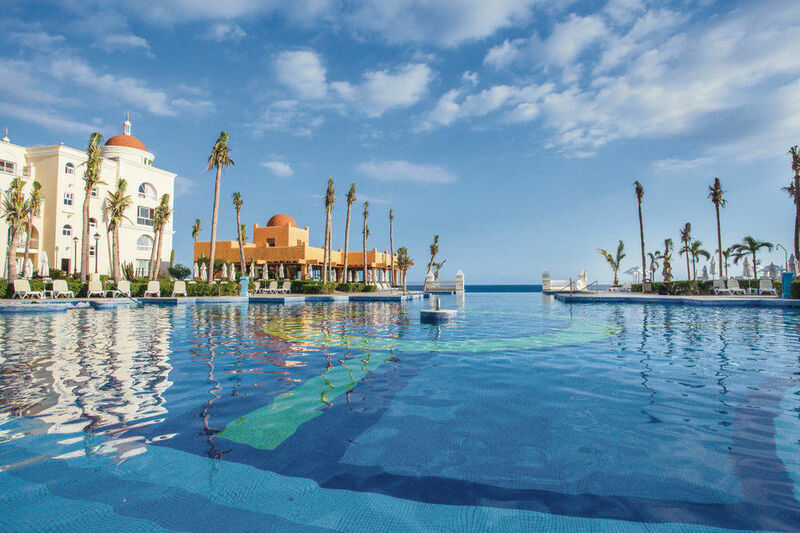 Thanks to the warm Mexican weather you're sure to enjoy during your stay, you can cool off in the hotel's two pools, relax on the hammocks or enjoy fabulous beverages at the swim-up bars. 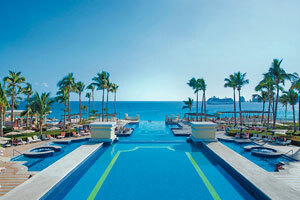 In addition, you can access the beach directly from the hotel and have fun in the crystalline water. 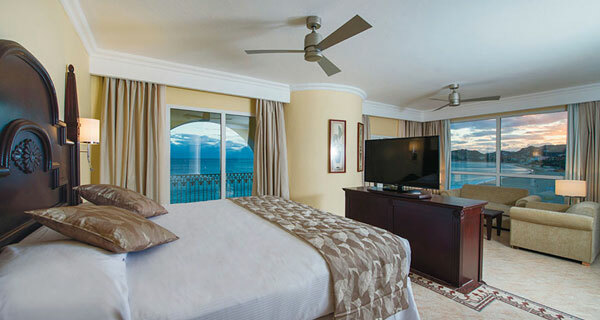 Under Mexican legislation it is not permitted to smoke in the bedrooms or public areas of the hotel. Smoking is only permitted in the areas specifically designated for this purpose. 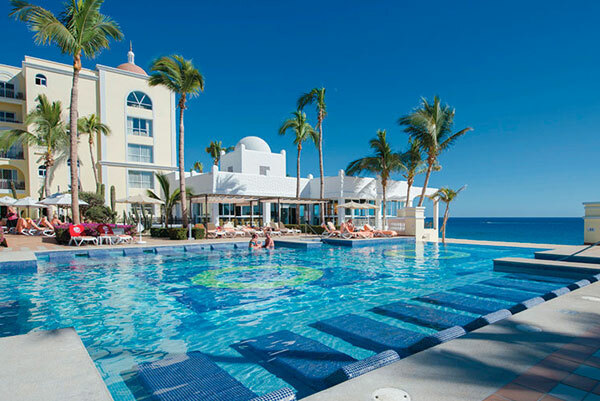 Los Cabos, on the southern tip of the Baja California peninsula, is one of Mexico's loveliest and most exclusive destinations. 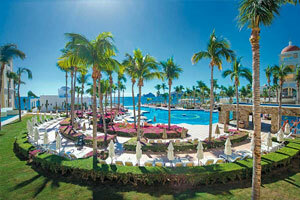 There you'll find exceptional beaches, lovely scenery and a variety of leisure options. 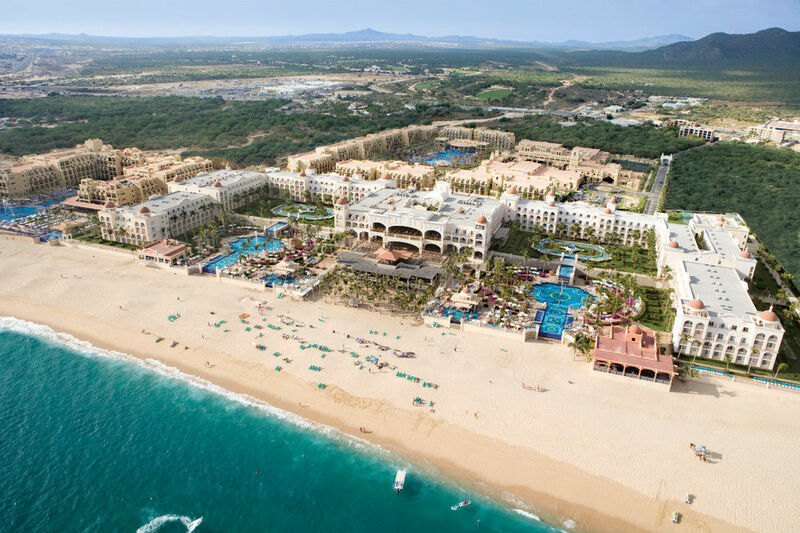 In the vicinity of the RIU hotels in Los Cabos, you'll find countless places to explore, like El Arco, San José del Cabo, and the Faro de Cabo Falso lighthouse. If you're a nature-lover, you have to see the San José del Cabo Estuary Nature Reserve and Marino de Cabo Pulmo National Park.